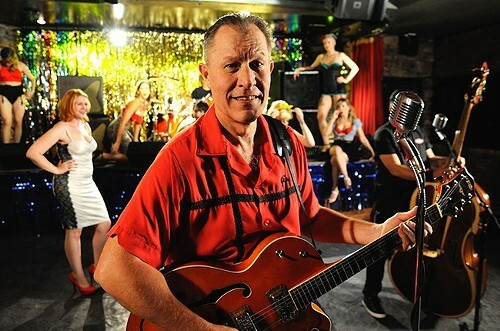 In the country-fed world of rockabilly, there’s no one more enduring than Reverend Horton Heat. Hailing from Dallas, Texas, the Reverend, aka singer and guitarist Jim Heath, is known as the godfather of psychobilly, a genre that’s as loud as it is energetic. Since the mid-eighties, Revered Horton Heat, the man and the trio, have found wide spanning success with their mixture of country, surf, punk and rock and roll. This week, the Rev appears again in the North Bay when they roll in on Friday, May 30, at Mystic Theatre, 23 Petaluma Blvd N, Petaluma. 8pm. $26-$29. 707.765.2121.